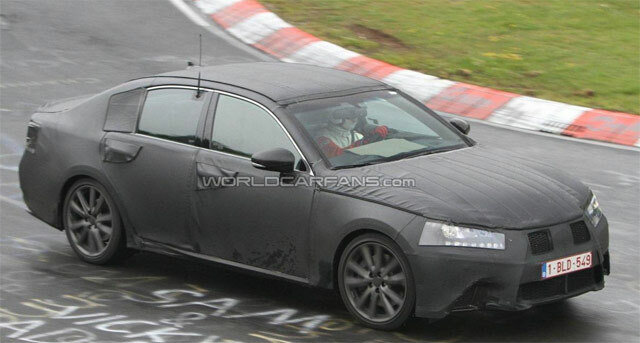 Next-Generation Lexus GS F Sport Spotted at Nürburgring? Judging by the mesh grille, I’d say we’re looking at the F Sport trim level — have to say, I’m surprised by how much of the LF-Gh has been carried over. The front grille is a touch smaller than the concept’s, but it’s very true to form. One thing: I’m not really a fan of the side mirrors, though they do have a bolted-on look so there many be no need for concern. The headlights are difficult to read — I don’t know what to make of the dotted LEDs, but I’ll hold off judgment until I see them without camo. 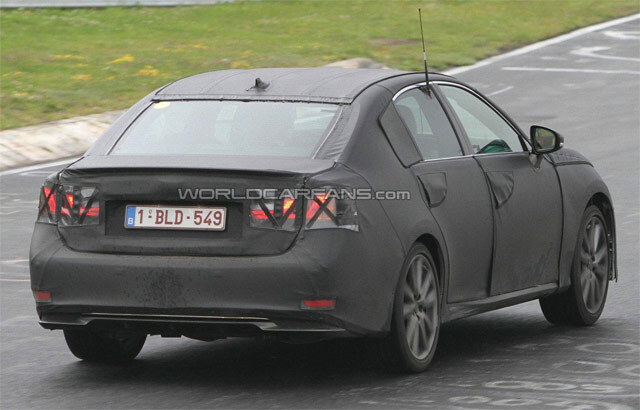 It’s difficult to say for sure, but it looks like a rear diffuser between the integrated exhausts — the Lexus camo hides most everything else, including the rear lights. At first, I thought we might be seeing a leather trimmed dash as well, but it’s starting to look like camouflage the more I look at it — regardless, the navigation slope in the center console looks similar to the current RX design. It would also appear the analog clock seen in the LF-Gh concept is making it to production — which is a nice move by Lexus to get away from their old-school digital clock. 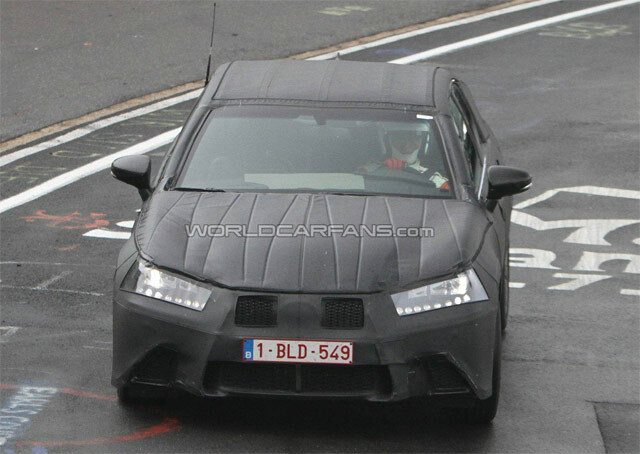 I really recommend checking the full-size images over at World Car Fans, and be sure to share anything you notice in the comments.